As summer winds down, I find myself grilling even more. Trying to squeeze out every last drop of fresh summer goodness, before giving way to the rib-sticking comfort foods of fall and winter. Grilled flank steak is one of our favorites. I love that I can prepare several at a time: preparing the marinade in the morning and putting one marinated flank steak in the fridge for dinner, and a couple more in the freezer for meals another night. 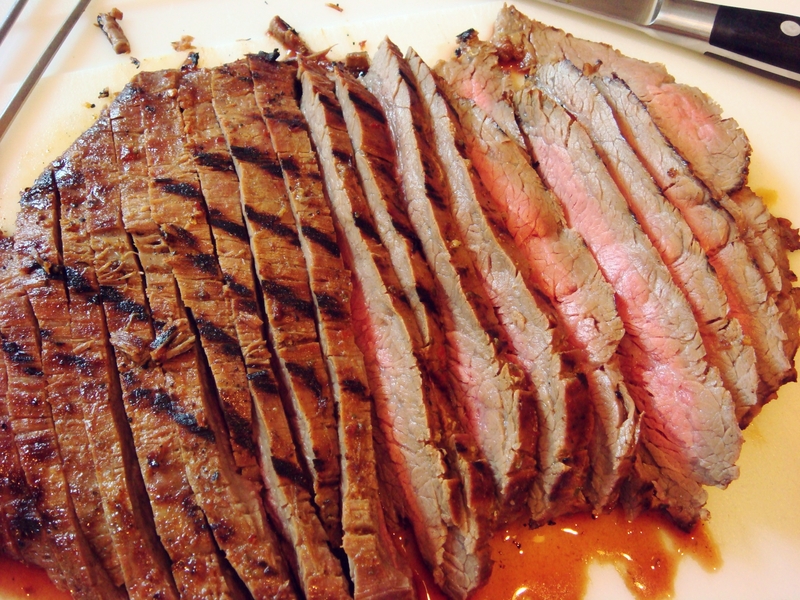 This flank steak has a wonderful smoky, slightly spicy flavor. Which went perfectly with this Chipotle Lime Quinoa and White Bean Salad. Quinoa (KEEN-wa), is a gluten-free grain that has a similar texture to couscous, but with a slightly nutty flavor (which makes sense since it is actually the seed portion of a grain). Combine everything except the steak in a blender, and process until peppers are chopped. Place flank steak in a Ziploc bag or glass baking dish, and add the marinade. Refrigerate for 4-6 hours or overnight (or freeze in the Ziploc bag until another day). Heat grill. Remove steak from marinade. Brush grill lightly with oil. Grill steak for 7-8 minutes per side for medium rare (adjust time based on thickness of meat and heat of grill). Let meat rest for 5-10 minutes. Slice across the grain. Serve with Chipotle Lime Quinoa and White Bean Salad OR use it as a base for fajitas with grilled onions and peppers in tortillas. 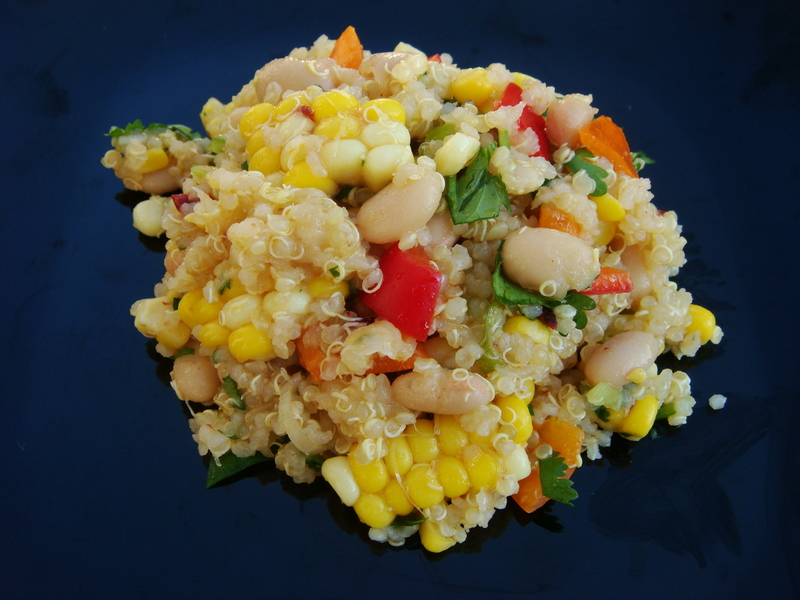 In a large bowl, combine cooled quinoa, beans, corn, red pepper, green onions and cilantro. In a small bowl, stir together the lime juice and zest, olive oil, salt, garlic powder, chipotle peppers and adobo sauce. Stir into quinoa mixture. Cover and chill until serving. Note: This can also be made with cooked brown rice or couscous instead of quinoa. What would you suggest to replace Corn. I a afraid I have a real Brain Block as to what to substitute for Corn.